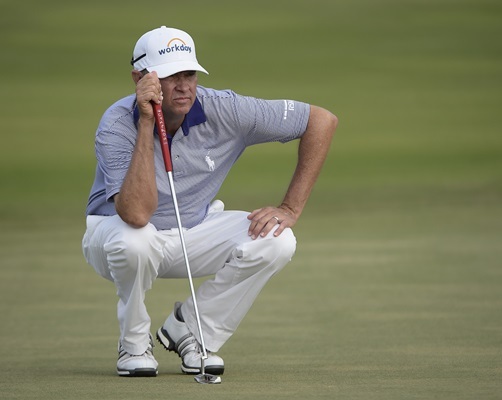 "There's no doubt Davis Love III still has game. As recently as 2015, the 21-time PGA Tour winner and World Golf Hall of Famer earned the title at the Wyndham Championship, becoming the third-oldest golfer ever to win a PGA Tour event. The U.S. Senior Open will take place June 28 through July 1. We’re looking forward to cheering Davis on! Over on the course, there are two tournaments underway, and several members of our Team RSM “family” are joining in on the fun! First, we have the World Golf Championships-Dell Technologies Match Play taking place at the Austin Country Club in Austin, Texas. 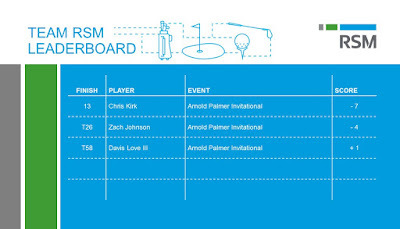 Team RSM Member Zach Johnson and past RSM Classic winner Kevin Kisner (2015) are both playing. Next, we have the Corales Puntacana Resort & Club Championship taking place in Punta Cana in the Dominic Republic (where former Dallas Cowboys quarterback Tony Romo is making his PGA TOUR debut!). Team RSM members Davis Love III and Dru Love are both playing, along with past RSM Classic champions Robert Streb (2014), Tommy Gainey (2012), Ben Crane (2011) and Heath Slocum (2010). Best of luck to everyone this week! 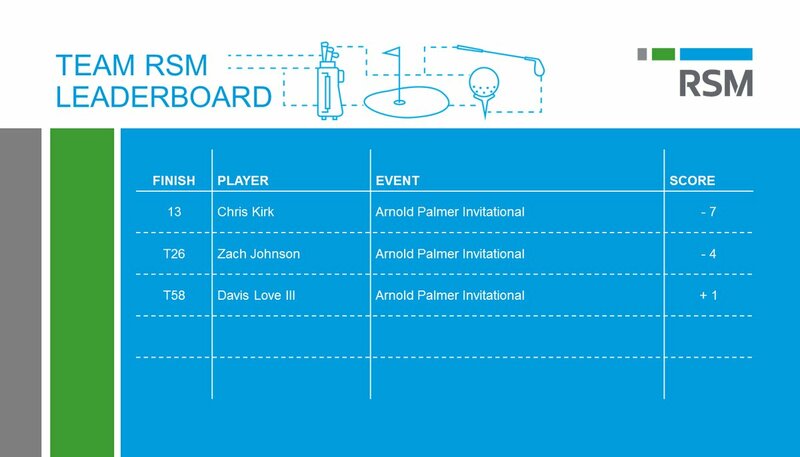 And taking a look at last week’s Arnold Palmer Invitational, Team RSM member Chris Kirk finished with a -7 at over the weekend! See below for how other members of Team RSM did as well.